Known for being the best overall liter bike package, the CBR1000RR cements its stellar reputation with several improvements for 2014, including a new ride position, a new windscreen and engine and exhaust modifications for more power and torque. The future’s looking bright indeed—especially if you’re on a 2014 CBR1000RR. Even Better For 2014: We’ve increased power with a revised cylinder head, exhaust and air intake. We’ve also changed the riding position and added a new windscreen to improve rider-vehicle connection, especially in track use. We even went with a new-wave key to reduce weight. Front and Rear Suspension: The CBR1000RR features suspension in both front and rear. Up front, the 43mm Big Piston Showa fork is smoother and more responsive; in the back, the Unit Pro-Link design uses a balance-free rear shock with a double-tube design for a smoother response and better road-holding feel (traction performance). LCD Instrumentation: The CBR1000RR’s full-screen LCD instrumentation includes a lap timer, trip and fuel-consumption computer, five-level customizable shift indicator, gear-position indicator and peak-rpm memory function. Revolutionary Doesn’t Begin To Describe These Brakes: The available Combined Anti-Lock Braking System (C-ABS) is the first of its kind on a Superbike. Even the most critical motorcycle testers rave about how well they work. Revised Cylinder Head And Exhaust: The 2014 CBR1000RR features changes to the cylinder head, including revised valve seats, machining and intake exhaust port shape. Along with modifications to the intake and exhaust systems, this creates more horsepower and torque. Big Piston Fork (BPF) Front Suspension: The CBR1000RR’s front suspension uses a Big Piston Fork (BPF). The 43mm Showa fork is smoother, more responsive and gives you excellent front-end feedback. 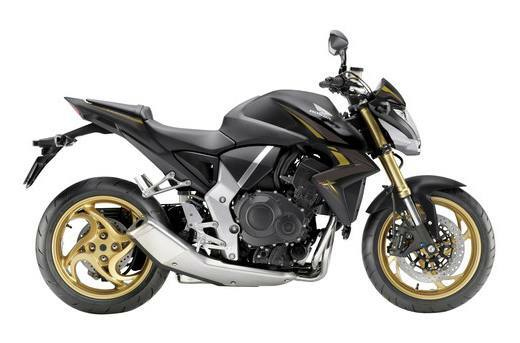 Unit Pro-Link Rear Suspension: The CBR1000RR features front and rear suspension. In the back, the Unit Pro-Link design uses a new balance-free rear shock with a double-tube design for a smoother and more accurate response. 12-Spoke Wheels: With their consistent rigidity and balance, these sharp-looking 12-spoke cast-aluminum wheels work with the new fork and enhance suspension feedback to deliver real handling improvements. Assisted Slipper Clutch: Superbikes can deliver a great deal of back-torque through the driveline, upsetting handling. Not the CBR1000RR. Its Honda-designed assisted slipper clutch is the same type used on our MotoGP bikes. The design does away with the need for heavy clutch springs, ensuring full power transmission with smooth shifting and a light clutch pull at the lever. Centrally Located Fuel Tank: The CBR1000RR’s 4.7-gallon fuel tank is positioned in the center of the chassis and low in the frame. This allows for a more compact design, but more importantly it helps centralize the bike’s mass. Increased mass centralization means the CBR is more responsive to rider input, especially when leaning the bike into a turn or standing it up at the exit. Layered Fairing: There’s no mistaking the new 2014 CBR1000RR, thanks to its layered fairing bodywork. Lean, mean, more aggressive from front to back, it’s a real attention getter, even when it’s standing still. New Windscreen: On all 2014 CBR1000RR models, a new, bubble-shaped windscreen works in concert with the new rider position changes to reduce wind resistance. Revised Rider Position: The footpegs have been moved further back 10mm, and the handlebar angles have been revised inward and downward to move the rider triangle slightly downward and forward. LCD Instruments: The CBR1000RR’s full-screen LCD instrumentation includes a lap timer, trip and fuel-consumption computer, five-level customizable shift indicator, gear-position indicator and peak-rpm memory function. Available Combined Anti-Lock Braking System (Electronic C-ABS): Electronically controlled C-ABS distributes brake force over both wheels, helping to maintain braking confidence in less-than-ideal conditions. The system electronically measures rider input on the brake lever and pedal, and applies only the front or rear brake in some cases or combines both brakes in other situations. One Year: Transferable one-year, unlimited-mileage limited warranty; extended coverage available with a Honda Protection Plan.